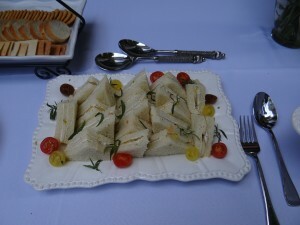 As I promised last week, I want to share with you these delicious tea sandwiches that had everyone talking at the shower. They are perfect for any gathering where you want to serve “little bites”. They are super easy to make and the flavor….OH MY! So fresh. The cheese spread and pear really compliment each other so well. So here’s how you make them. Pick out your favorite kind of bread. I love a bread that is called Challah Bread, which has a hint of vanilla in the bread. Spread the garlic and herb cheese spread on one side of each slice of bread. I prefer the brand Alloutte. Core and thinly slice a ripe pear. Do not remove outside pear skin. Depending on the size of the pear, you should be able to make 2-3 sandwiches per pear. Place each pear slice on top of one side of the bread that has been covered in cheese spread. Place the other slice of bread with cheese spread on top of the pears. Trim off the crust. Cut remaining sandwich into triangle shapes. Don’t waste the crust. You will want to pop these bites into your mouth. This is the fun of cooking – eating a bite or two (or three!) while you make the dish! Note: You will want to make these sandwiches right before serving them. The pears can turn a little brown if made too far in advance. 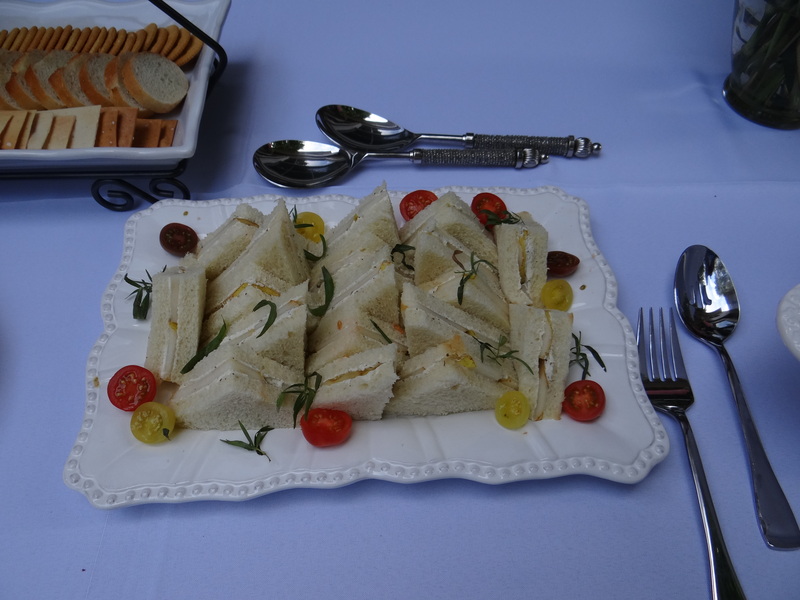 Optional – I garnished the plate with baby heirloom tomatoes and fresh rosemary herbs. It’s that simple! I hope you will enjoy eating these as much as I do!